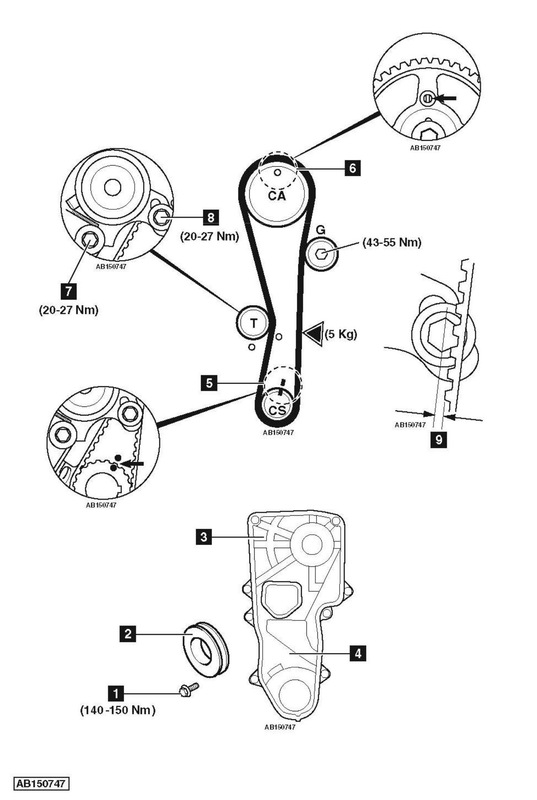 Hyundai Getz 1.6 2005 cambelt change instructions and replacement inteval. Full guide! Turn crankshaft clockwise until timing marks aligned  . Ensure hole in camshaft sprocket aligned with timing mark on cylinder head  . Move tensioner away from belt. Lightly tighten tensioner bolt  . Fit timing belt in anti-clockwise direction, starting at crankshaft sprocket. NOTE: Observe direction of rotation marks on belt. Ensure belt is taut between sprockets on non-tensioned side. Tighten tensioner bolt  . Tightening torque: 20-27 Nm. Belt should deflect to 1/4 of tensioner bolt head width  . Tighten crankshaft bolt  . Tightening torque: 140-150 Nm. Please be more specific on how to change timing belt for Hyundai getz 2007..